Some musicians choose a background location for their cover photo that mirrors the theme of the album. A band may opt for a location shot that reflects the band’s image or the genre of the music. A hip-hop album would be unlikely to have a barn and cornfield in the background, and a country album would appear strange if the cover photo showed a burned-out car and dilapidated warehouse in the background. Occasionally a cover photo transcends all the obvious manipulation. 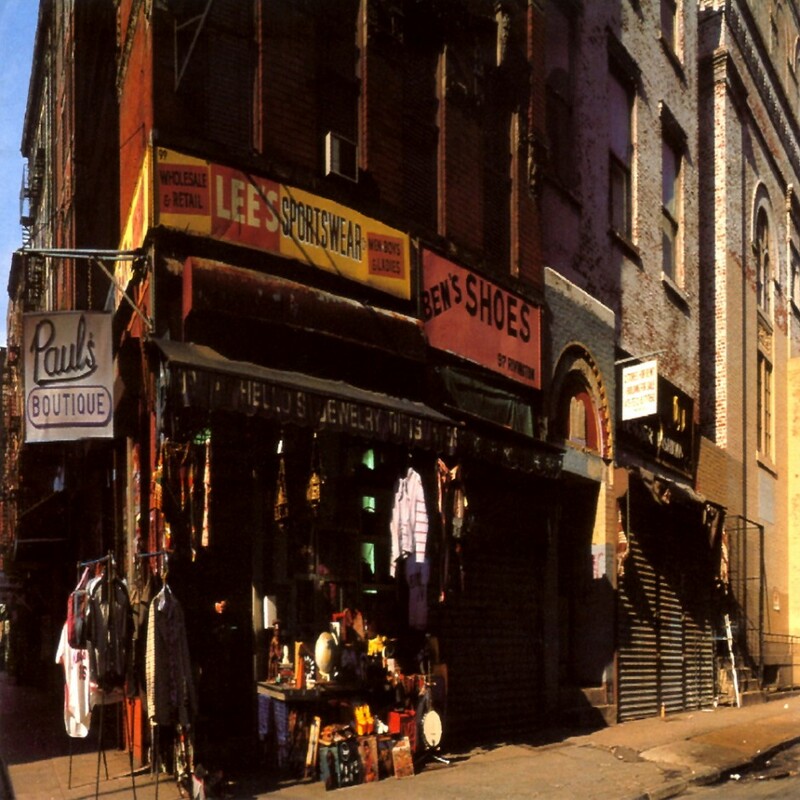 The Beastie Boys’ “Paul’s Boutique” is a great example of an album that makes a profound visual statement about the band and the music in a powerful yet subtle way. The cover photo was taken in New York City at the corner of Ludlow and Rivington on Manhattan’s Lower East side. The neighborhood where the photo was shot has always been one of immigrants. It is one of the main areas where successive groups of immigrants settled upon arriving in America. Germans, Italians, Jewish and Irish immigrants all called the Lower East Side home. The area was particularly well-known for its Jewish settlers and culture. Since the Beastie Boys were Jewish, the cover location was a nod to their ancestry. The cover location also hints at the incredible musical diversity of the samples used on the album. Just as the album mixes up all kinds of music together, the neighborhood also is a mix of a multitude of ethnicities and nationalities. The boutique itself also alludes to the diversity of the album’s music. Amidst the racks of clothing and knickknacks are sure to be some familiar items. Much like the musical density of the background tracks and lyrics, the appearance of the boutique is completely packed with diverse items. The viewer is drawn into the boutique and drawn into the music to explore the interior. The darkened doorway invites the viewer to step inside and see what mysteries lurk within. In 1989, music and information were both much more linear. With the advent of the internet, it’s possible to read online guitar reviews, learn the history of Nietzsche and view the local weather forecast in minutes with a few keystrokes. Sensory overload is common today, but in 1989 the sort of information overdrive exhibited by “Paul’s Boutique” was rare. The density and seeming chaos of the cover art reflects the same qualities in the music. It is only through repeat visits to the “Boutique” that the listener or shopper can hope to discover all the treasures inside.